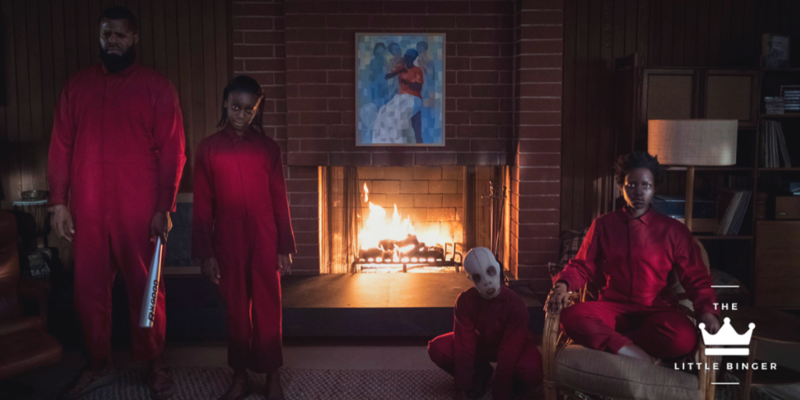 The trailer for Jordan Peele’s Us had us thinking that it’s another home invasion movie. There is no problem with that. There were successfully terrifying movies that had this trope such as Hush and Strangers. Knowing, however, that the movie is written, produced, and directed by Peele, I knew that there will be something more underneath it. And when you have a powerful cast such as Nyong’o and Duke, you just have to brace yourself for something exciting! This is the mindset that I had going into the special press screening by United International Pictures at Columbia Pictures’ private theatre. The night was attended by select members of the press and it was obvious in our pre-movie discussion that expectations for the movie are high! Peele’s Us is a multi-layered horror film. It started in 1986 at a carnival in Santa Cruz where we see the young Adelaide (Nyong’o) wandering around the grounds before getting loss in a mirror maze. And here is where the mystery seeded itself. Jump to the future and we now see her as a grownup with two kids of her own. The plot was setup to be a typical house invasion movie during a vacation but it quickly turned down everybody’s expectations. The first part of the film took its stride in building every character and in effect, made them likeable. As I always say, the main characters’ likeability play a big factor in creating a highly-tensioned plot. Adelaide along with her husband Gabe (Winston Duke), and kids Zora (Shahadi Wright Joseph) and Jason (Evan Alex) had gone on a trip to a vacation house in Santa Cruz. What was planned out to be a good time, turned out to be a terrifying one. And so the horror begins. Adelaide’s family had weird guests over at the property. Soon after the electricity was cut off, a family of four stood outside their house. JUST STOOD THERE STILL. A series of intimidations later and they were overpowered by the invaders in their own house. An odd and unbelievable discovery shook them and us, the audience because the invaders look like them. Perhaps, this is one of the things that I love about Peele’s works, so far. He takes a piece of reality, molds it into the shapings of the genre, and finishes them off with strokes of fear. Get Out was a metophorical play on the appropriation of Black culture while Us is the dealienation of one’s self from reality. Watching Us had me giggling and shifting from one corner to another of my seat because of its smart and chilling narrative. Peele is proving himself to be this generation’s master of horror as his movies are more than just about the scares. They are almost similiar to a social commentary on race and inequality, making Us a remarkable film. The rise and fall of tension with its punching humor really does take the audiences for a ride. It will make you laugh when it wants to but be prepared to be terrified because the movie does not hold back. Jordan Peele’s Us would not have been the same if not for Nyong’o’s INCREDIBLE performance by perfectly playing on the duality of her character. Us is the film that will open your eyes on the current state of our society. Will have you contemplate on it, process it, and once it hits you, it will leave you paralyzed on your seat with its chillingly terrifying message. And yes, I am going to say it again, Lupita Nyong’o will make you fall in love with her and send shivers down your spine at the same time!